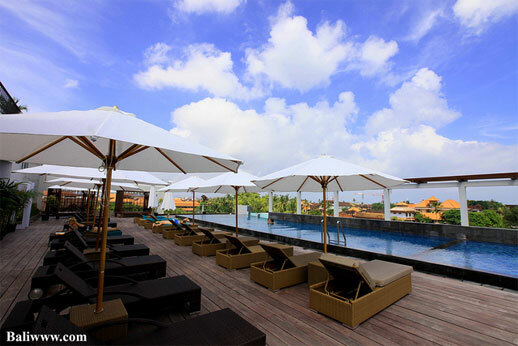 101 Legian is right in the heart of Legian, close to entertainment and tourism facilities and has easy access to various tourism destinations in Bali. 101 Legian is designed in smart modern minimalist architecture and interior style with cozy and affordable room, modern facilities and amenities, warm and friendly services as well as one-stop shopping centre. Superior Room is 18 – 21.5 sqm with King or Hollywood Twin bed, en-suite bathroom complete with bath amenities and shower with hot and cold water, TV, AC, pajama, slipper and minibar. Deluxe Balcony is 25.7 sqm with King or Hollywood Twin bed and additional balcony facility. Deluxe Pool Access is 24.8 sqm with King or Hollywood Twin bed and additional terrace facility that gives walking access to the swimming pool. Deluxe Family is 45.2 sqm with King bed and single bed for children under 12 years old. 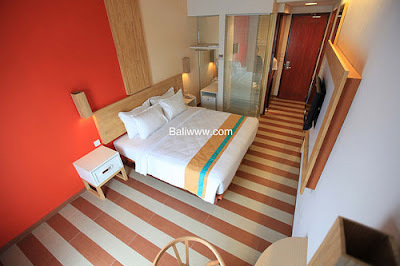 Suite is 33.6 sqm with King bed, larger bathroom that is completed with individual bathtub and shower and sofa facility.